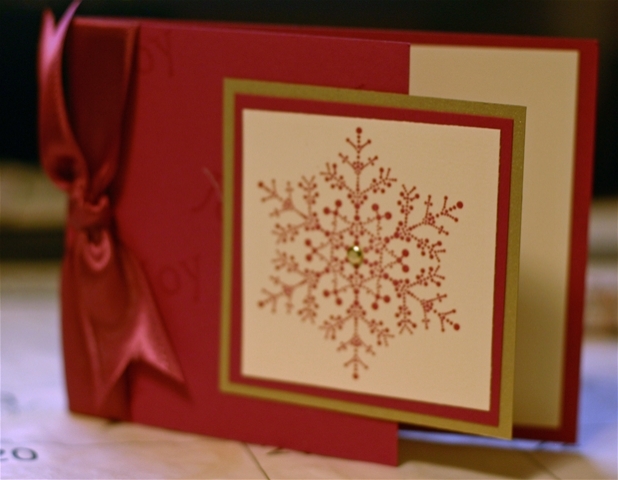 Home › Blogs › Christmas cards already??? 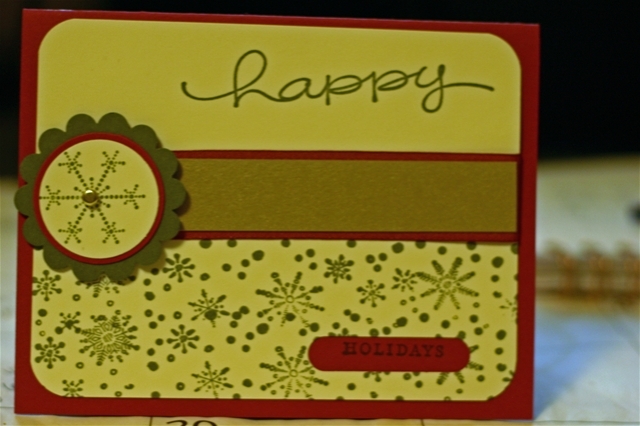 Took a card class last night, a Christmas card class! It seems every year I want to make my own cards. Maybe not for everyone on my list but at least some hand made cards and either I don't have the idea or I don't have the time. 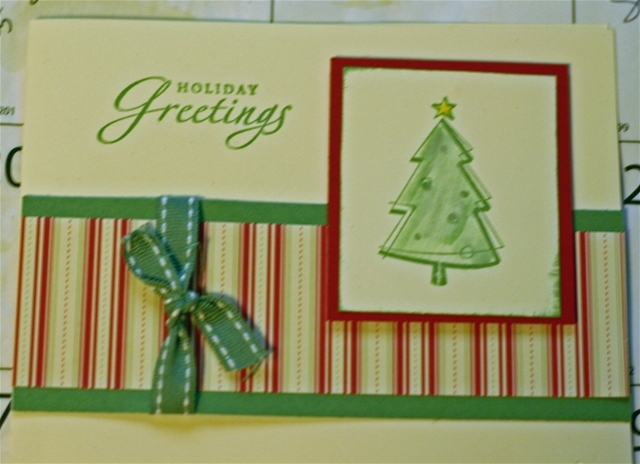 So when this card class was offered I thought why not get my ideas starting to flow and find something cute, simple and fun to make for Christmas. I was very happy with what we made. I think this one is my favorite and the one I'm going to do at Christmas. 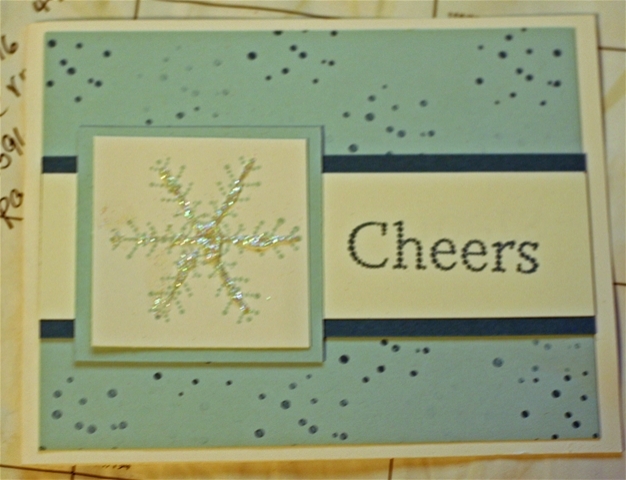 Not sure if I'll do the snowflake or something different, but I did order that gorgeous ribbon! I'm excited for the weekend too! On Saturday I'm taking a class with Trish! The 7 gypsies rolodex class! Can't wait! I'll be sure to get before and after pictures. Then we are going to hang out the rest of the afternoon and scrap! I'm looking forward to it all! But first we need to finish off the ALCS series here tonight in Cleveland. This is going to be a tough game I am sure! And intense for us fans watching! 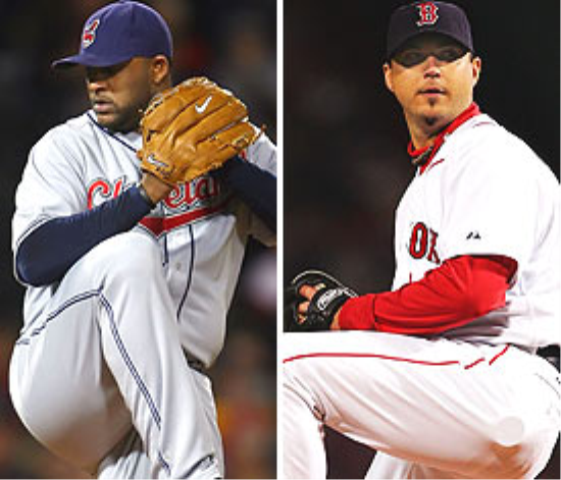 It's sure to be all about the pitching! Let's go Tribe!